20-Apr-2010 - What is the greatest challenges in implementing, running, maintaining VSAT connections? VSAT (Very Small Aperture Terminal) networks have become integral to Africa's telecommunications network. Because VSAT has become a necessity for bridging the telecom divide in Africa, it is important to address capacity building. Incorrect evaluation of user requirements often leads to the poor VSAT network design and the provision of inadequate and inappropriate VSAT solutions. Unprofessional VSAT network designed to save costs now delivers inferiors solutions that turn out to be costly, time consuming and wasteful in the long run. By not focusing on substance consumers make wrong choices with regard to equipment and solutions. Business types are not the same. And even in the same business no two sites have the same Internet requirements. There are no formulas. One size does not fit all. For example, what is the usage pattern - do remote sites have to transmit large amounts of data regularly. What is the nature of data - video, text, graphics, voice, etc. how often and heavy will the file downloads be? I'm sure you understand that cyber café requirements differ from those of business firms. The provision of VSAT solutions must be based on an in-depth understanding of all the customers' requirements as well as proper planning for current needs and future growth. Issues to be considered include: number of users and locations, traffic and information flow, latency issues and response time. Professional network design is essential for effective VSAT deployment. Though VSAT availability is higher than ever before, another major challenge confronting professional design and implementation is the local skills gap. Lack of skills required in the developing world to design, install and maintain satellite communication systems adequately - inadequate quality human capital - affects speedy, proactive and effective response to failures and issues. In some African countries, it can often be difficult to find competent people to implement and manage VSAT deployment. Expertise is unevenly spread on the continent and even within countries. For example, in Nigeria, most installers are based in Lagos. Improving skills availability requires proactive and well thought through strategies. This is why VSAT training is a welcome initiative. Beyond the technical VSAT expertise, the skills challenge extends to human capacity deficiencies in project management and entrepreneurship. It's amazing but Africa's certificate focus is not helping. It is one thing to pass an exam; it is another to solve a real business problem. For example, while there is serious interest and investment in cyber café business, poor management and weak grounding in entrepreneurship fundamentals, not the absence of technical skills, are the major reasons for the associated high failure rate. These same challenges have rendered many VSAT solutions ineffective in Africa. This is what you get when you neglect management skills, creativity and focus only on technical expertise. 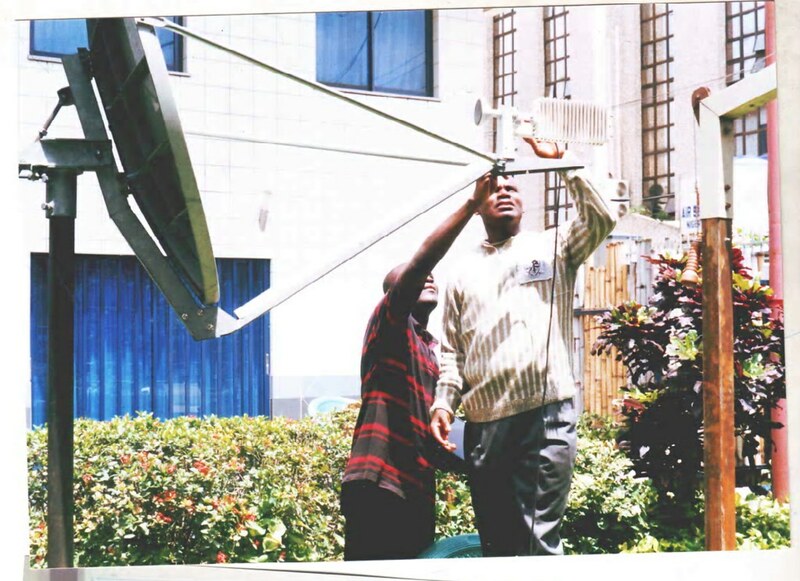 Other challenges in the provision of VSAT service include: High start-up costs (hubs and basic elements must be in place before the services can be provided), cost of satellite airtime, Lack of adequate coverage in some parts of Africa, rigid subscription plans; and imposition of severe regulatory restrictions by governments and regulatory bodies that lack of understanding by of what VSATs can offer. Since VSAT is so critical to telecom in Africa, it's amazing that very few African countries have specific policies or strategies for tapping the benefits of VSAT technologies. VSAT planning must also consider information security challenges especially those relating to protection of infrastructure as well as availability. Service quality limitations such as the high signal delays in data transmission (latency) can result in availability problems. Latency is unavoidable in Internet connections but can especially be an issue with satellite networks that are not well designed and managed. Jidaw Systems Limited is the originator of the IT Entrepreneurship Guide series - Success in IT Business programs and a Foremost Authority on IT Career development. Jidaw Systems is a NASITEA partner. Success in IT Business (SITB) training program is designed to help You Discover the Reality and Principles required to create your own Profitable and Sustainable IT Business. Being Your Own Boss is the best IT job because what you do and how you do it in your information technology business is all up to you. With SITB You Gain from Helpful, Down-to-Earth Ideas and Real life Experiences of IT Entrepreneurs! thanks for the info. Nice points on management and things to consider. The skills gap is still too wide in Africa.